So, you can’t buy music from your Apple iPhone or iPad because the iTunes Store icon is missing? Here are some things you can check to find out what happened to the iTunes Store icon. Flick your finger left or right to switch between Home screens and see if you accidentally moved it to another screen. Also be sure to check to see if it was placed in a folder on one of the screens. from the Home screen, swipe all the way over to the left to reveal the search box. In the “Search” box type “iTunes“. The icon should be revealed. Sometimes the iTunes app gets disabled accidentally in the Restrictions section. In iOS12 choose”Screen Time” > “Content Privacy & Restrictions” > “Content Privacy“. In iOS 11 and lower, choose “General” > “Restrictions“. Make sure” iTunes Store” is set to “On“. Note: If you don’t know the password to access Restrictions, ask anybody who has handled the device. It commonly gets set by other family members and children. Are you done searching and will do anything to get your iTunes icon back? 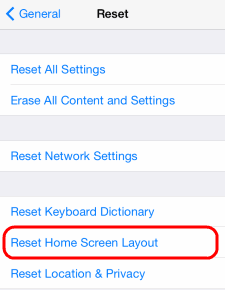 Try to reset the Home screen under “Settings” > “General” > “Reset Home Screen Layout“. Connect your iPhone/iPad to your computer and launch iTunes. “Settings” > “General” > “Reset” > “Erase all Content and Settings“. Hopefully after trying these steps, your icon is back. Yes. 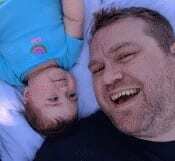 I Reset Home Screen Layout, and viola, problem. Thank you much! This helped me a ton. My wife played with my iPad and that icon found its way into a different folder.